As Fall approaches, it’s time to get the strawberry patch weeded, fertilized and expanded! 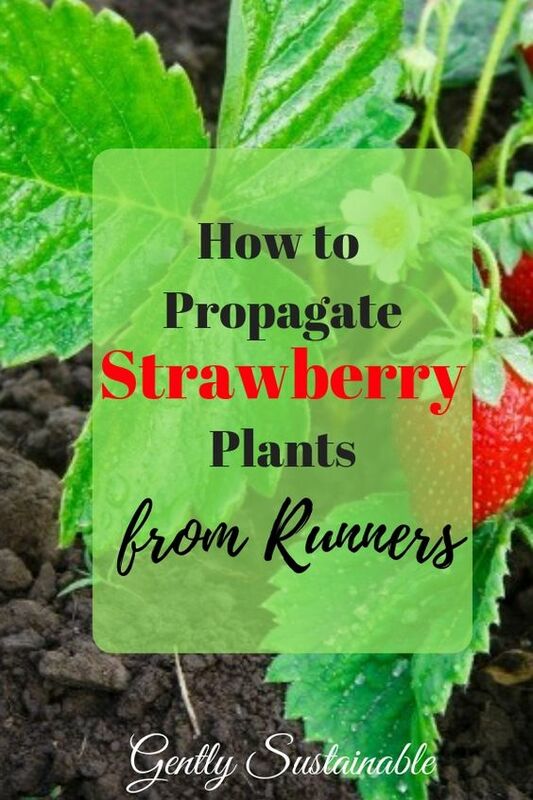 I want to show you how easy it is to create new strawberry plants through propagation! Since my harvest in the Spring, I’ve pretty much ignored my strawberry patch. Other things needed my attention. But with some care, I’ll be well on my way to a bountiful harvest next year! 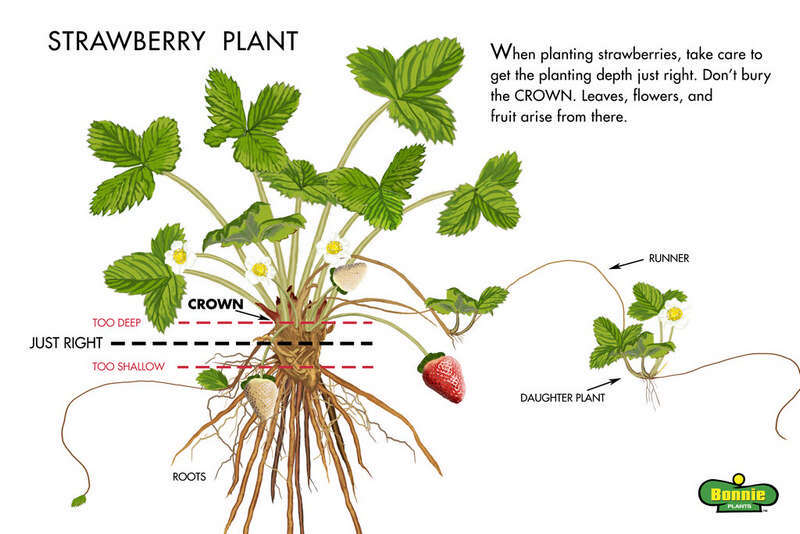 However, keep in mind that in the Spring, an existing strawberry patch will usually burst into growth, leaving you with lots of daughter plants to use! Put them to good use! 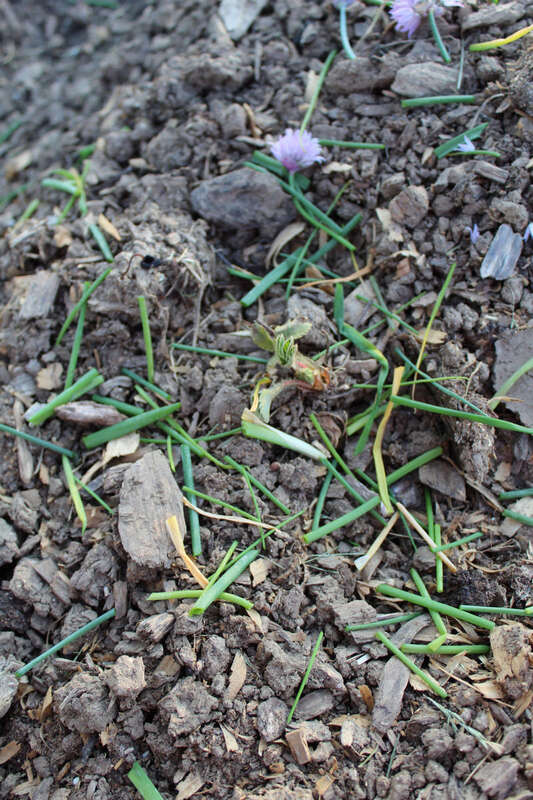 After weeding this patch, I’m going to focus on my chive plants (see my post about companion planting chives with strawberries here!). Chives bring potassium and calcium to my patch, which is exactly what strawberries LOVE! While just the plant’s presence does wonders, like repel bad insects, it’s also helpful to “chop and drop” the greens. 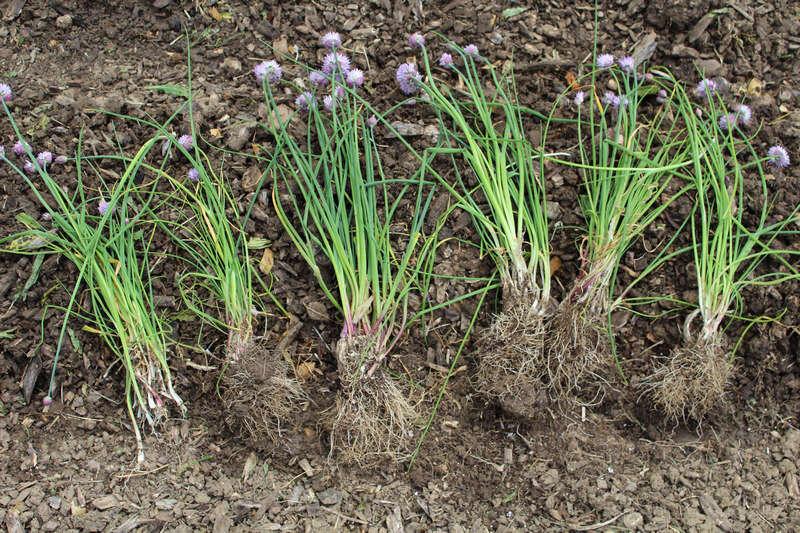 This is easy enough to do, simply grab the chives plant like you would a ponytail, and just clip 3-4 inch cuttings and let them drop on the ground. Now, I’m going to look for “runners”. Runners are simply the strawberry plant’s offspring, or babies. If you don’t trim them from the mother plant once they have rooted, it’s put a lot of addition stress on that mother plant. (There’s a life lesson in there somewhere!) So once the runners have little root systems, it’s time to grow on their own and absorb their own nutrients! These runners often times take root somewhere all by themselves. However, I like to create rows in my strawberry patch. This runner hasn’t taken root yet, so I will just give it a snip to separate it from the mother plant, and place it where I would like it to be. But even if it has rooted, just gently pluck it out and relocate. Cover the roots, but don’t bury the plant too deep, just up to the crown. Water, but don’t soak. 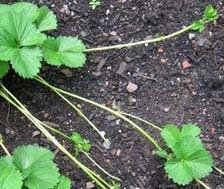 It didn’t take long to create a couple of new rows of strawberry plants in my garden! All for free!! If you don’t want to expand your garden, be sure to offer your runners to someone else who might just love to get a strawberry patch going! Great information. I interplanted strawberries between the perennial flowers and bulbs around my house. Sort of like a fruit bearing ground cover. Unfortunately, visitors and delivery men spotted them. Often I would answer the door to find them happily munching away on the irresistible fruit. Susan, What a wonderful idea to inter-plant! That’s ridiculous about people munching on them, geez! I have had such strawberry disasters. Maybe I’ll try one more time this year. Thanks for joining my Pinterest Group Homestead Gathering Place. I’m hoping to build a friendly little place to talk homesteading. Laura, thanks for inviting me!